Properly managing product labels is crucial to streamline a product development. However, there are many food labeling requirements to take into consideration. Ensuring label compliance requires the use of a great number of information and data often spread out between the different departments of a company. This leads to businesses having to perform time-consuming and error-prone manual tasks just to collect all the data. Regarding the content of a label, it is challenging to obtain the required information, such as the allergens list and claims, if the data of the raw materials used are not readily available. It is also challenging to calculate and declare the nutritional values of a finished product without the nutritional values of each raw material. As it can be seen, the accuracy of the content relies on the accuracy of information of each raw material composing the product. In addition, it is essential to respect and stay up-to-date with country-specific regulations to create accurate food labels content. Companies risk high fines and penalties in case of non-compliance; therefore, it is crucial to know all applicable regulations. However, it is a complex and lengthy process to ensure that the labels, for every product, are compliant with these regulations. It is even more challenging to ensure compliance when a product is sold in different markets with different label regulations. Indeed, selling the same products in different markets requires translating claims and labels in different languages. It is important to not only translate them but also make sure the wordings are lawful in the country. Do these challenges sound familiar? So what is the solution? Various solutions can be implemented to smooth the label development. Among them are the support of experts and the implementation of technologies. Having the right information at the right time is key to streamline compliance of packaging and labeling. All information related to the product’s components, including characteristics, documentation and final product specifications, should be gathered in the same database. Nonetheless, it is important to organize all this information in a structured manner. This ensures that the data and documents are easily retrievable. This also allows each piece of information to be correctly linked to the right finished product. When modifying any data or information, it is crucial to save the new version in this database without deleting the previous versions. IT solution: Lascom Product Lifecycle Management software helps you automatically create and manage a single source of information for all products and raw materials data, thanks to its Food labels features. 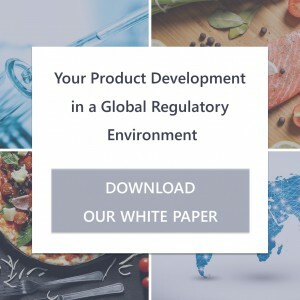 Streamlining communication and collaboration with partners such as suppliers, food-testing specialists and regulatory experts, enforces compliance from the beginning. Indeed, it is important to rely on your existing eco-system and enforce your suppliers’ accountability to ensure the information they provide is accurate, – i.e. : information about their raw materials, such as microbiology and organoleptic information, and physical-chemical data, but also other documents such as free-form and organic certifications and certificate of alimentary products. 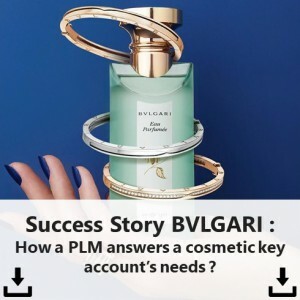 The eco-system also includes external support, such as regulatory labeling experts, and IT solutions, like labeling solution or Product Lifecycle Management (PLM) software. 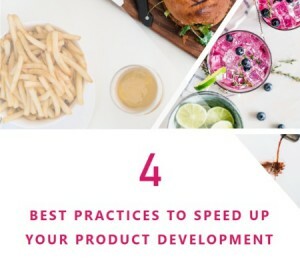 IT software can help you streamline and speed up the creation and development of your labels, while regulatory experts deliver the final approval of label compliance. 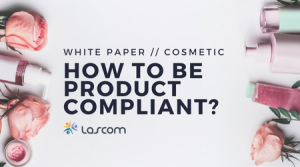 Lascom PLM helps you speed up your product development while guaranteeing label compliance. Our dedicated software features will create a seamless experience. 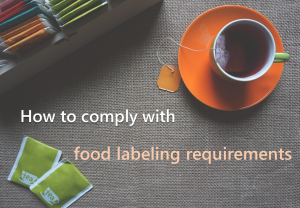 Share the post "How to Comply With Food Labeling Requirements"